Enjoyed your review. 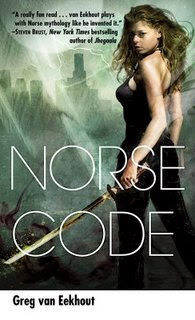 Have to agree that I would have liked to have learned more about the NorseCode company, but was happy overall with the story. Found myself comparing it to American Gods as well. Thought this was a very strong debut, and look forward to hearing more from van Eekhout in the future! Good job!